Finally, the stable Nougat update for Nubia Z11 is rolling for all its users around the globe. 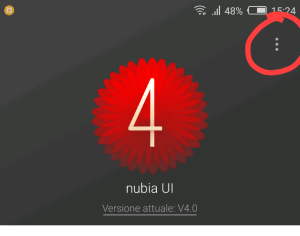 Along with a step-up to Android N 7.1.1 it also brings the Nubia-UI 5.0 which is the custom skin of Nubia devices. 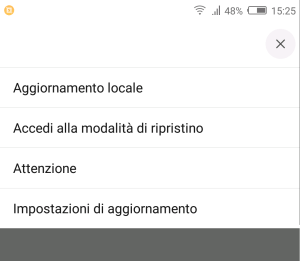 It also packs optimizations for Google calendar and Translation to Italian lingo. Almost two months ago, Android Nougat Beta version for Nubia Z11 was made available for the users. It is good to see ZTE has been punctual in delivering the big updates. The latest update is rolling over-the-air(OTA) and will be gradually dropping into your devices. It weighs around 1.81 GB in size. Apart from that, we have also provided the links to grab the official ROM and tutorial to install the same manually. Check that out below. In the recent times, most of the devices are getting laced with Android Oreo, but there is no indication about the same for Nubia Z11 as of now. Along with the OS version upgrade, another highlight is the Nubia-UI 5.0. We can safely say this Nougat update for Nubia Z11 is very promising and brings forth important changes and fixes. Your device will automatically capture the OTA as it rolls. Also, you can manually install the OTA through the Local upgrade. How To Install OTA By Local upgrade. If the update is available device will download it. Select the update file in the folder to where the device saved the file after download. Then proceed directly with the upgrade. After installing this update, you can no longer return to the previous OS version Android Marshmallow. Just to be on the safe side, take a backup of your device data before updating manually. Here is the direct download link to grab the ROM from official firmware repository of ZTE. Step-1 Download the official ROM from the above link to your PC. Step-2 Connect your device to the PC through USB cable. Step-3 move the folder that has the update file to the internal/external storage of the device. Step-6 In Settings > System Updates, click on the 3 vertical dots to expand for Options. Note: Now Tap on the first option Local Update. This will perform the installation. Step-7 Now, select the update file from the folder in the device which we have kept previously and select whether to install the update immediately or first take a backup. That’s about it. Now enjoy Android 7.1.1 nougat on your Nubia Z 11. Also, keep scrolling on AndroidSage for all latest Android OS updates for your devices. This ROM working my device or not?